Have you heard of The Dyrt? It’s a camping website that allows campers to search for campgrounds, read reviews, and look at photos of campsites to help them decide where to camp. As anyone who’s tried to plan a camping trip knows, finding a great campground can be really frustrating. It may even be the least exciting part of the whole camping experience. The Dyrt website has been making the camping search process more fun since 2013. 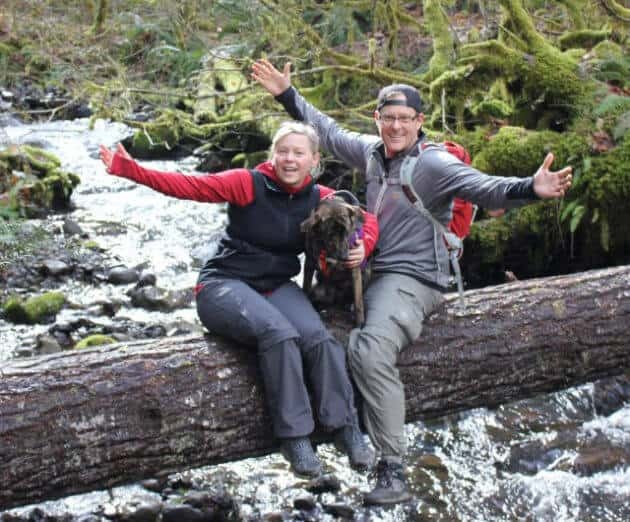 The website was founded by Sarah Smith, who was “ tired of trying to search for campgrounds on maps and online without ever knowing what the campground was actually going to look like. ” Sarah built The Dyrt as a way for people to find a campsite and know exactly what they were getting—before going into the wild. 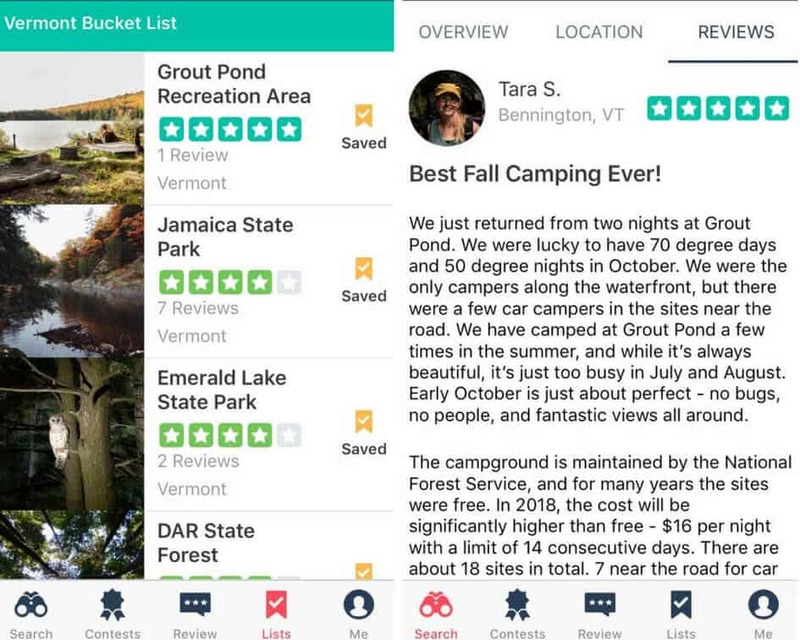 This summer, The Dyrt introduced their new camping app, making it even easier to find the perfect campground for your next adventure. 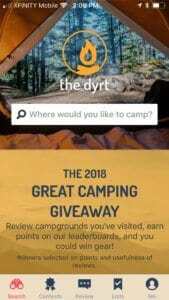 The Dyrt is currently the fastest growing camping app and website, with more user-generated reviews than any other platform. Their plan is simple: to conquer the wild behemoth that is the camping industry, without giving users a headache. The platform currently boasts more than 70,000 photos, videos and reviews, all submitted by The Dyrt’s loyal camping community. Here’s how it works. Open the app and create an account. You can add personalized photos and links to your relevant social media accounts and website if you have one. When you’re ready to search, type in the city, state, or region where you are looking for campgrounds, or simply click on “Near Me”. You will then be able to browse campgrounds using the integrated map or list function. 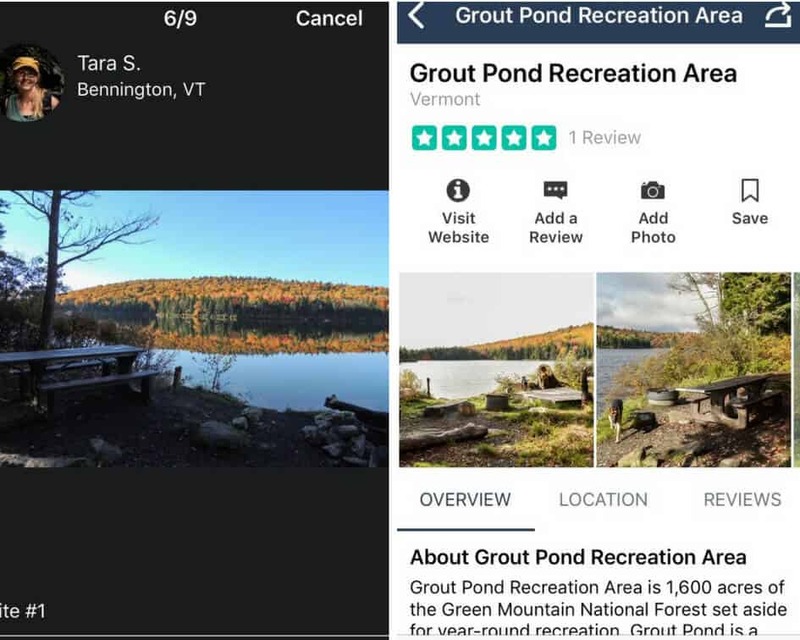 Click on a campground that looks promising to read reviews, browse photos, and get an summary of the campground’s offering. It’s that simple. When planning a camping trip, you can use the list function to compile promising campgrounds for your adventure. To create a list, click on list icon on the bottom of the screen. Click on “Create List” and give your list a name and description. Now whenever you find a must-visit campground, you can add it to your list, making it even easier to plan the best camping trip ever. If you need some list-making inspiration, The Dyrt highlights lists from the camping community in their online magazine. The Dyrt makes the campground review process fun by encouraging the community to compete with other users and win prizes in exchange for their campground reviews. Campers can stream their progress in real-time using The Dyrt’s contest leaderboards. The top reviewers can win cool outdoor gear. The contests are region-specific, allowing you to review campgrounds and win contests in ten different United States regions. You earn points for your review, as well as for photographs, and for sharing your review on social media. You can track your progress on the camping leaderboard, which is reset every month. Prizes include gift certificates to cool outdoor brands like Primus, Matador, Mountain House, and Escape Campervans. A new member signs up every 60 seconds on The Dyrt, taking them one step closer to easily planning the perfect camping adventure. In fact, more people signed up for The Dyrt last month than in all of 2017. Ready to join a cool community of outdoor enthusiasts? You can create an account on The Dyrt website or through the app. 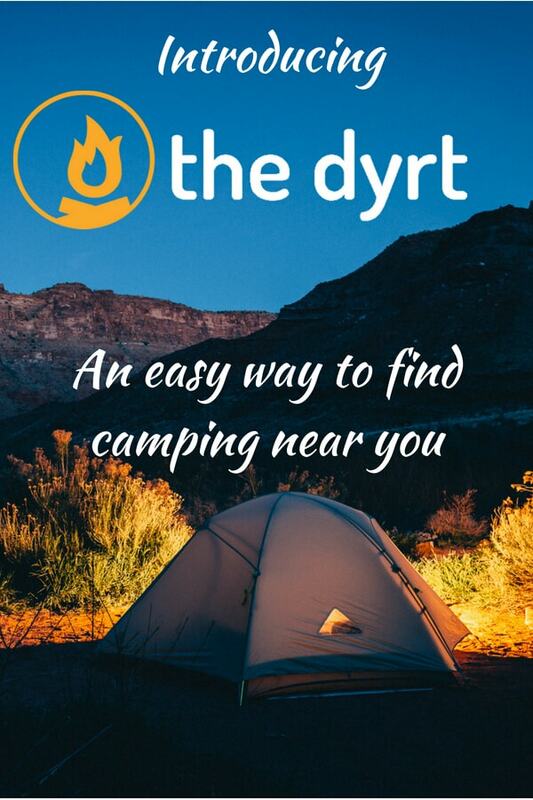 The Dyrt camping app is completely free and available on both iOS and Android. I’m so excited that you have introduced us to Dyrt. It looks like an absolutely fantastic way to find the perfect campsite. We’ll definitely be using it to plan our future trips. We are just hoping that it works for RV travelers! I’ll save to G+, Pinterest and Twitter too! Thanks, Stacy! I think a great addition to the app would be the ability to filter your search for things like RV camping, dog friendliness, etc. I don’t think they have that feature at the moment, but one of the awesomest things about The Dyrt is that they are super responsive to suggestions. They really do want to make the app as great and user-friendly as possible. Ryan from The Dyrt here, thanks so much for featuring us! We are working RIGHT NOW on improving the data for campgrounds so we can launch filters and make it a super awesome filtering experience! It is going to be a several-month project, but it will be an incredible and necessary addition to our app. Thanks for helping us get this far. Camp on!